There’s no denying it: WordPress rules. The CMS has so many plugins, ranging from custom forms to more complex usability features. Even better is that most of them are totally free. If you run a blog on WordPress, then you probably know about their many related post plugins. They automatically pull articles relevant to each post on your site. Granted, this can impact performance – so there is no “perfect” choice. That’s why I’ve curated this list of the top 8 related post plugins you might pick from. They each have their own benefits and drawbacks, along with their own interface styles. Have a look over this list and see if any of these plugins could work for your blog. YARPP stands for Yet Another Related Posts Plugin. It was designed as just another option from the many existing plugins at the time. Truth be told – this is one of the best. It does eat a decent amount of resources on the server, so it helps if you’re on a VPS or dedicated host. But you can use a caching plugin to help speed things up. Posts can be organized with thumbnails or in a link list inside your article. The templating system is also easy to edit if you know your way around CSS, so it’s super easy to get this blended into any site. I’ve used YARPP on a couple of sites and I’ve been really pleased with the results. If you take it for a test ride, I think you’ll feel the same way. Contextual Related Posts uses a custom algorithm that pulls keywords from each page’s title and main body content. This is a lot more intensive than other plugins, but it also delivers more unique results. Once you get this installed, it’ll automatically start pulling related posts based on page content. You can add the shortcodes anywhere you like, or append the related post function inside your template files. I also like how this plugin comes with its own unique caching system. However, that means even if you have another caching plugin installed, like W3 Total Cache, you’ll need to clear both caches to reset your related posts. This approach certainly cuts down on page size but can be a pain when you’ve got a massive website. Intelly is one of the newer options that embeds related posts inside your content. Pretty cool! I haven’t used Intelly Related Posts very much, but from what I have seen it’s a darn good plugin. The matching system for pulling content is fantastic and the default templates are pretty easy to work with. From the backend, you can also customize the color scheme with a few defaults. I’ve yet to find another solid in-post related links plugin, so if you need that feature I recommend Intelly. The Related For WP plugin offers most of the same features you find elsewhere: custom caching, automated links and a custom template. But there is one nice added feature with this plugin that I really like. It lets you change links on certain posts if you want to manually alter the related content. The plugin gives you full control over links on each page and you can even rearrange the order, too. For installation you can use a widget or a shortcode – both of which can work in any theme. The backend has a full setup wizard that can guide you through the whole process. I often prefer related post plugins that gather links from categories and tags. This cuts down on the required processing power since the plugin doesn’t need to scan your content or headlines for keywords. 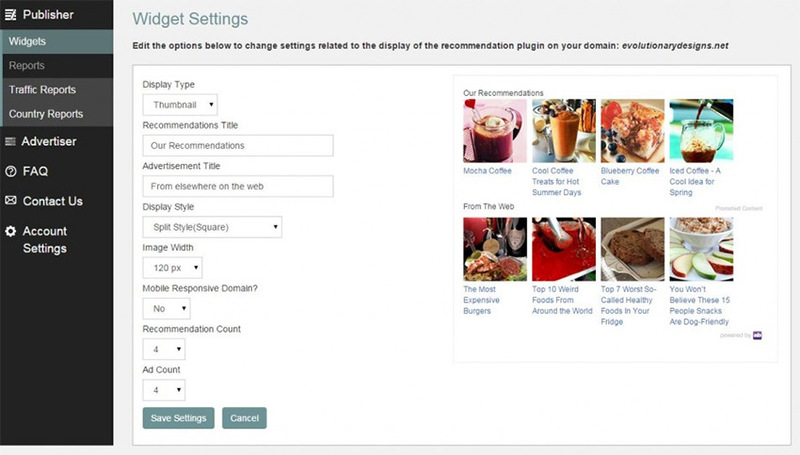 With WP Simple Related Posts, you’ll get a plugin that looks solely at post tags and categories. These differ for each post but the plugin aims to automate the process by randomizing the related links for each page. And since this plugin is totally free, the developer released a free add-on template on GitHub. You can use this to append features onto the plugin for even greater customization. For a more heavy-duty plugin, check out Similar Posts. It’s a newer plugin, currently in v2.7 with frequent updates from the creator. This gives you more control over the links on your page and how those links are pulled. It can work based on keywords in the content/headline, or based on post categories and tags. You choose how much weight goes towards each of those factors. Choose how the links should appear, which post(s) should be excluded and which relevant factors should be considered before pulling links. Note that this does require a bit more work to get it all running smoothly. But it also grants you a lot more control over the related post setup. Most plugins just pull the related post links based on categories and tags. But you can add your own custom taxonomies into the mix by using Related Posts By Taxonomy. It has a great template with plenty of room for restyling to suit your theme. And you can set it up to run anywhere in your template – even inside your article content with a shortcode. Choose whether to limit certain taxonomies, authors or even set date limits if you only want to feature recent posts. Each shortcode lets you set custom attributes as well. This plugin is pretty great if you want to manually configure related links – especially if you use more than just categories and tags. Here’s one other option that is fairly new. Related Post by Pickplugins lets you display related article links underneath your page content. It works just like other plugins, in that it will scan content, categories and tags to find an assortment of relevant posts. This happens automatically once you install the plugin for the first time. But you also have manual control to choose the links yourself, if you want to. The plugin also comes with a few unique features like an optional slider view and a way to setup the related posts inside your archive pages. Overall, it’s a pretty solid plugin to play with. It’s just one of many you can try when looking for that perfect related posts plugin for your site.